WHEN Stephanie Archibald had her two children, the midwives who attended the birth were so wonderful she was inspired to switch her studies to become one herself. 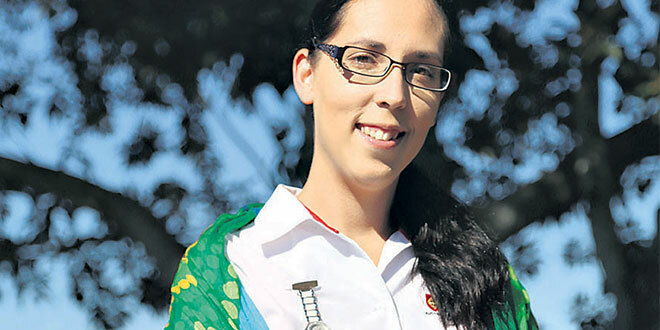 Ms Archibald, a Bigambul woman, whose traditional country straddles the inland border between Queensland and New South Wales, changed from studying forensic science at QUT, to a three-year Bachelor of Midwifery degree at Australian Catholic University. “When you find the one thing you love you can really focus on it,” she said. Since coming to ACU the second-year student’s ambitions have been supercharged. Ms Archibald wants to provide quality, culturally appropriate health care to indigenous women, which she hopes will empower them to find their voice. “I had never been super academic and when I was studying my science degree I was barely passing, but since coming to ACU I have had a distinction average,” she said. “Everyone at ACU has been really supportive and I now know that I can do a lot more than I thought I could. When Ms Archibald did her first placement at a north Queensland hospital she saw first-hand the health needs of indigenous women preparing for birth. “Seventy-five per cent of the women are flown in from remote communities, and in those places they have received minimal or in some cases no antenatal care,” she said. “I realised the issues faced by not just indigenous women, but all women, living remotely. “Getting birthing to them back on their country – that seems important to me. At the north Queensland hospital, Ms Archibald also made her first “hands-on-hands” midwife-assisted delivery. “It was so emotional. I had that ‘Oh my gosh, this is what I want to do’ moment,” she said. She said Queensland needed more indigenous midwives. Out of a cohort of about 120 students in her year, Ms Archibald said there were three indigenous students studying midwifery on campus. Several more study externally. Ms Archibald is taking on the challenge of encouraging more indigenous women into her chosen field, and to also educate other student midwives about indigenous culture. “At the end of last year I started thinking about creating an event for midwifery students where elders could talk about experiences of traditional birth, especially as we were doing rural placements and some of us were going to be supporting indigenous women,” she said. With advice and support from the Weemala Indigenous Higher Education Unit at ACU’s Brisbane campus, Ms Archibald established the Birthing on Country forum, hosted by the McAuley Midwifery Society earlier this year. More than 40 turned out for the forum, and the experience was so positive, Ms Archibald is discussing the possibility of holding a similar event on ACU’s Melbourne campus. “Before coming to ACU I would never have thought about doing something like that and now I’m thinking about submitting an abstract about the experience to the Australian College of Midwives Midwifery Students Conference next year,” she said. “It was never on my radar to get involved in policies or with the indigenous community on a much larger level than just working in my local hospital. “I hope if I can do well at this, other indigenous women will say ‘if she can do it, I can do it too’. “We don’t have a very large indigenous midwifery workforce, so I would love to work on ways to get indigenous midwives registered by getting them through uni and providing support to help them. ACU offers a wide range of support services for Aboriginal and Torres Strait Islander students. Students can study at one of the university’s many campuses in Brisbane, Canberra, Ballarat, Melbourne, Sydney or Adelaide, or they can choose distance study. The Away from Base program offers specific multi-modal study in midwifery, education and business. There is also a range of scholarships and bursaries for new and continuing students across education and arts, health sciences, law, business, and theology and philosophy fields.